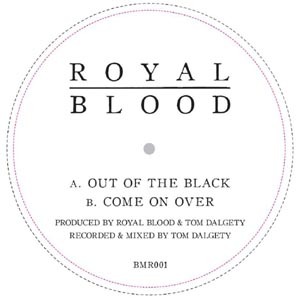 Royal Blood's debut single was a bit of a slowburner. It didn't catch fire as quickly as a few of the other songs, but for longevity, I think it's arguably outlasted the other songs. You may or may not be a wrestling fan, but it was the theme song for a WWE pay-per-view called Roadblock only last month, which suggests that the song got a good amount of airplay in America only recently. For me, what I love so much about "Out of the Black" is that it really, REALLY reminds me of Muse. And I don't mean arena-rock-trying-to-rip-Queen Muse, but earlier days of Muse, circa-2002. In particular the song "Dead Star". You may or may not hear the influence I hear in "Out of the Black" from this song, but either way these two songs sound very similar in certain ways to me. And I just love that. Royal Blood ooze potential, and there's a reason why they're one of the most exciting British rock bands around at the moment, and they're just getting started. If you missed #46 go here.